Energizer's new "EcoAdvanced " AA batteries require less virgin material to produce, last longer, and are made of recycled battery material. More than 165 people-including 78 government representatives from 22 states, manufacturers, recyclers, retailers, watershed associations, and environmental groups-met in Hartford, Connecticut late last month to explore solutions for sustainable scrap tire management. The National Tire Stewardship Dialogue Meeting, facilitated by PSI and hosted by the Connecticut Department of Energy and Environmental Protection (CT DEEP), was an opportunity for stakeholders nationwide to discuss approaches to advancing tire stewardship in the U.S., including the problems of illegal dumping, market challenges for higher end use of scrap tires, and adequate and sustainable financing. 5) the need for sustainable financing for scrap tire management. Stakeholders will now continue working with PSI to implement solutions and discuss areas requiring further discussion, such as the best way to sustainably fund programs. The meeting was co-sponsored by the Central Vermont Solid Waste Management District (CVSWMD), Chittenden Solid Waste District (VT), the City of Hartford (CT), and the Connecticut River Watershed Council. To access the meeting presentations and other information, click here. For more information on tire stewardship, please contact Suna Bayrakal at suna@productstewardship.us or (617) 671-0616. February Webinar: Increasing Packaging Recycling in the U.S.
Packaging waste represents one-third of all waste generated in the U.S., placing billions of dollars of management costs on local governments each year while wasting billions more in valuable materials. As marine debris, litter, and overflowing landfills have become a health and environmental hazard, a variety of groups are creating and implementing both legislated and voluntary solutions that can increase packaging recycling in the U.S.
Now available via recording, this important webinar explores three very different, but complementary, approaches to increasing the recycling of packaging: extended producer responsibility (EPR); the Recycling Partnership; and the Closed Loop Fund. All 30 webinar survey respondents found the quality of speakers to be "excellent." As always, PSI Full Members and Sustaining Partners get free access. If you were unable to join us, you can still access the recording by clicking here! Household hazardous waste (HHW) represents the single largest expense for solid waste program managers. In the first webinar of this series on product stewardship solutions in rural areas, we introduced HHW program managers, contractors, and local government officials to manufacturer-funded take-back programs that help maximize environmental performance while minimizing costs. 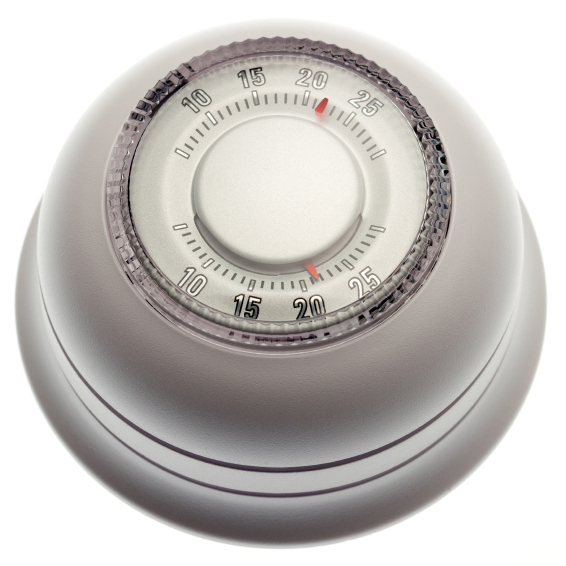 We focused on mercury-containing thermostats, auto-switches, and rechargeable batteries. We also examined clean-up strategies for tires, which- while not technically HHW -- are still considerably costly to manage. For rural areas of the U.S., where populations are sparse and government services are few, product stewardship and the safe management of hazardous post-consumer waste products poses unique challenges to recycling organizations, HHW facilities, solid waste managers, governments, manufacturers, retailers, and consumers. This FREE, four-part webinar series, made possible through funding from the U.S. Department of Agriculture, addresses different aspects of rural product stewardship programs for products of particular concern, including tires, auto switches, paint, bulky waste, and mercury-containing products. Financial incentives and outreach programs can increase the collection of mercury thermostats and auto-switches in Illinois, and likely other states nationwide, according to the results of a recent PSI project funded by the U.S. EPA. As part of the 12-month project, which ran from April 2013 to May 2014, PSI and the Illinois EPA offered incentives to auto recyclers for collected auto-switches by increasing the monetary bonus they received for every mercury auto switch that they returned through the national End-of-Life Vehicle Solutions (ELVS) program. For HVAC contractors and wholesalers, the project covered the $25 cost of the thermostat collection bin obtained through the Thermostat Recycling Corporation (TRC) take-back program. On top of this, we conducted extensive educational outreach for both groups. Our efforts resulted in the collection of 89 pounds of mercury through the ELVS program and 99 pounds of mercury through TRC (we also established 140 new collection locations for mercury thermostats). Despite the fact that mercury is no longer used to make these products, and therefore the stock of mercury in circulation should be decreasing, our project resulted in a 25 percent increase in collection of the toxic heavy metal (up 188 lbs. from 150 lbs.) when compared to mercury collection data from 2011, suggesting that that there is still a substantial amount of mercury in circulation that needs to be safely collected and managed. For more information about this project, or about product stewardship for mercury-containing thermostats and auto switches, contact Karen Shapiro at 617-236-4866 or Karen@productstewardship.us. For many residents of New York State, managing their leftover paint-and keeping it out of our environment and waste stream-will soon become much easier. Thanks to a grant from the New York State Pollution Prevention Institute (NYSP2I), the New York Product Stewardship Council (NYPSC), in partnership with PSI, will work to increase opportunities for paint reuse and recycling in New York State communities, thereby decreasing the amount of leftover paint sent to landfills and HHW facilities. Through the project, one of 16 selected by the 2015 NYSP2I Community Grants Program, NYPSC and PSI will design and implement municipality-specific paint reuse programs across the state that maximize paint waste diversion. Specifically, we aim to: (1) increase the quantity of paint reused, (2) increase the number of communities with paint reuse options, (3) improve existing reuse programs, and (4) build reuse infrastructure to support expanded operations under a producer-funded program. To achieve these goals, the team will develop a paint reuse manual and best practices guide to paint management, foster partnerships between local governments and resale stores, and provide ongoing support to municipal organizations as they introduce and improve paint reuse programs. Paint Stewardship Continues to Advance in U.S.
PSI is preparing to launch a comprehensive evaluation of the California Paint Stewardship Program, similar to the evaluation performed on the Oregon Paint Stewardship Program from March 2013, to determine the effects of paint stewardship legislation on HHW programs, paint retailers, and painting contractors. The effects on each stakeholder group will be evaluated across various metrics including cost, volumes collected, convenience, reuse, consumer awareness, and consumer satisfaction. For HHW programs, this study will build upon PSI's recent survey evaluating the effects of paint stewardship legislation on HHW programs across the country. Results of both evaluations will be published this spring. Harmonizing PaintCare Reporting to States: PSI facilitated a meeting in December with representatives from PaintCare and state and local officials from the six newest states to pass paint stewardship legislation - Connecticut, Rhode Island, Vermont, Maine, Minnesota, and Colorado. At the meeting, stakeholders discussed ways to harmonize the data that PaintCare must legally report to each state in their Annual Report, ultimately developing a list of recommendations based on legislative requirements. The meeting took place as Maine and Colorado prepare to launch programs this summer and as Vermont and Rhode await their first Annual Reports from PaintCare. More HVAC professionals in Oklahoma now have convenient access to safe, secure collection sites for mercury thermostats, thanks to the collaborative efforts of PSI, the Oklahoma Department of Environmental Quality (OK DEQ), and Covanta. The OK DEQ, Covanta and PSI have all played an integral part in reducing mercury pollution in Oklahoma through both outreach and thermostat collection strategies. With financial support from PSI Sustaining Partner Covanta, we're already setting up 39 brand new wholesaler thermostat collection sites in Oklahoma, and the project has only gotten started! Last December, PSI pulled together a list of HVAC wholesalers and large contractors in the Tulsa, Oklahoma City, Lawton, Bartlesville, Miami, and Pryor regions to educate them about the Thermostat Recycling Corporation (TRC) thermostat collection program. The largest wholesaler was Locke Supply Co., with 39 wholesale locations across the state of Oklahoma. In January, Covanta, which is committed to keeping mercury thermostats out of the waste stream, persuaded Locke Supply Co. to set up collection sites at all its Oklahoma wholesale branches. In exchange, Covanta is subsidizing the cost of half of Locke Supply Co.'s new TRC bins-an investment of approximately $500. Before Locke Supply joined, only 10 HVAC wholesale stores in Oklahoma were registered to collect thermostats for TRC. This partnership will therefore serve to drastically increase the thermostat recycling opportunities for Oklahoma residents. This demonstration of collaboration between nonprofit, government, and corporate entities is the hallmark of PSI's work. We expect that even more thermostat collection sites will open across Oklahoma as we continue our educational outreach efforts. These 39 new thermostat collection bins are only the beginning-over the course of the next year, we hope to recruit many more HVAC wholesalers and contractors in Oklahoma to get involved with thermostat collection! You can keep up to date on the latest developments in product stewardship at PSI and beyond by following us on Twitter, Facebook, and LinkedIn. Let's connect! The U.S. pharmaceuticals industry continues to fight against pharmaceuticals EPR legislation in Alameda County, CA. The three major associations representing the industry-Pharmaceutical Research and Manufacturers of America (PhRMA), Generic Pharmaceutical Association, and Biotechnology Industry Organization-filed an appeal with the U.S. Supreme Court last month, claiming once again that Alameda County's EPR ordinance interferes with interstate commerce. In its appeal, the industry also expressed its concern that EPR for pharmaceuticals would expand across the country if allowed to continue in Alameda County. 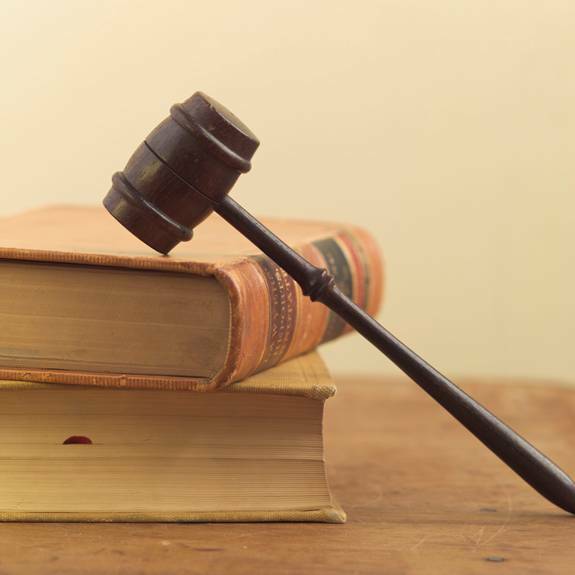 The Ninth Circuit Court of Appeals already rejected the industry's initial challenge to Alameda County's pharmaceutical EPR law in September 2014 on the grounds that the law did not, as the pharmaceutical companies claimed, violate the Commerce Clause. Out of more than 7,000 cases that the U.S. Supreme Court is asked to review each year, only 100 to 150 of them are accepted. The Court is expected to make a decision on whether to accept the case soon. Meanwhile, the country's first proposed product stewardship plans for medicine have been proposed in Alameda and will be up for discussion on February 23. Residents of Wisconsin are among the first to benefit from the recent U.S. Drug Enforcement Administration (DEA) rule allowing retail pharmacies to serve as medicine take-back locations for controlled substances. According to a recent press release, Gundersen Health System has become the first retail pharmacy to install medication disposal containers at its retail locations throughout Wisconsin. Each medication drop-box provides an opportunity for patients, visitors, and employees to safely and easily dispose of their prescription, over-the-counter, liquid, lotion, inhaler, and pet medications. Released late last year, the DEA rule expands pharmaceutical collection options to authorized retail pharmacies, manufacturers, drug distributors, reverse distributors, narcotic treatment programs, and hospitals/clinics with an on-site pharmacy that volunteer to collect medications like Vicodin, Oxycontin, and Percocet. Since pharmacies are easily accessible to most community members, the rule is expected to greatly reduce the amount of medication that is improperly disposed of in the trash or down the drain. However, the New Rule's success depends on whether pharmacies and other facilities volunteer to participate in the program, as there is currently no identified source of sustainable funding for it. Future EPR legislation enforcing take-back participation will greatly increase facility participation in the program. Click here to learn more about Gundersen's pharmaceutical waste collection program. The American carpet industry's new "voluntary product stewardship," or VPS, program-under which the industry provides financial incentives to U.S. carpet sorters who formally support VPS instead of EPR-is now underway. Unveiled late last year by the Carpet and Rug Institute and the Carpet America Recovery Effort, the VPS program expressly forbids sorters from supporting EPR legislation, and requires any sorters who are "caught" violating their agreement by supporting EPR to surrender any incentives they might have earned under the program. PSI has already expressed its disappointment in the program. In a recent press release, PSI's CEO, Scott Cassel, said: "Clearly, carpet manufacturers spent significant time to develop this complex program to reduce the multi-million dollar cost that carpet waste imposes on taxpayers, and while we appreciate them taking some degree of responsibility, their purely voluntary approach is hardly a balanced and sustainable solution." 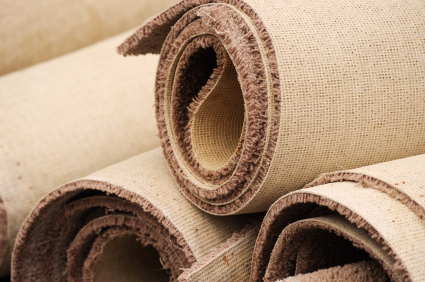 Several states are expected to introduce carpet EPR legislation in 2015; California passed an EPR law for carpet in 2010. The last few decades of carpet recycling have shown that the voluntary approach does not work; at PSI, we look forward to working with those who are ready to support carpet EPR legislation. For more information on carpet stewardship, please contact Suna Bayrakal at suna@productstewardship.us or (617) 671-0616. 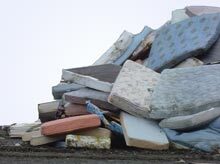 In response to increasingly cost-prohibitive mattress waste management in Minneapolis, the City Council may request that the Minnesota Legislature introduce statewide mattress recycling legislation. Such legislation, which could go into effect in 2016, would help alleviate the cost of mattress recycling shouldered by the City. Since 2012, the county has banned burning mattresses in its downtown power plant, and consequently the number of mattresses handled by recycling facilities has increased. Currently, Minneapolis spends $600,000 each year to recycle 34,000 mattresses-a cost of about $18 per mattress. Laws involving mattress recycling and processing fees are a growing trend across the U.S., with California, Connecticut, and Rhode Island having passed their own legislation in recent years. The International Sleep Products Association, which represents mattress manufacturers, says it is working with Minnesota officials to ensure that any new legislation does not "impose impractical and costly obligations" on the industry. You can access the full report here, or for more information on mattress stewardship, please contact Suna Bayrakal at suna@productstewardship.us or (617) 671-0616. Beginning this summer, consumers in Ontario, Canada will be able to more easily recycle their leftover paint thanks to a new plan approved last month by Waste Diversion Ontario (WDO). The new program, submitted by the stewardship organization Product Care Association and extensively evaluated by WDO, will provide Ontario consumers with more opportunities to recycle their leftover paint and will expand the number of products to be collected for recycling. Over the next several months, WDO will transition to the Product Care program from the current Ontario-based Orange Drop program. The new plan will go into effect as early as June of this year. You can access the full report here. A last-minute policy change has led Multi-Material Stewardship Saskatchewan (MMSW) to delay its New Year's roll-out of a new Waste Packaging and Paper Program. The program, approved over a year ago, originally exempted small businesses with revenues below $750,000. However, at the eleventh hour, the Saskatchewan Ministry of Environment stepped in to raise the "small business" cut-off line from $750,000 to $2 million and to offer an additional transitional 2-year exemption to small businesses with revenues up to $5 million. While the Ministry reasoned that this change would allow for an easier transitional period for businesses, the MMSW was surprised to find more businesses exempt from the program than had been originally planned, leaving only a few larger companies to subsidize the program. This abrupt change in the program may severely undercut the original plan for program funding. Exempt businesses will also be excused from reporting their paper and packaging usage during the transitional period.Though the Paper Packaging Program was originally slated to begin at the start of this year, this sudden change has led the MMSW to delay the release of the program until they can establish a new plan for program funding. You can access the full report here. 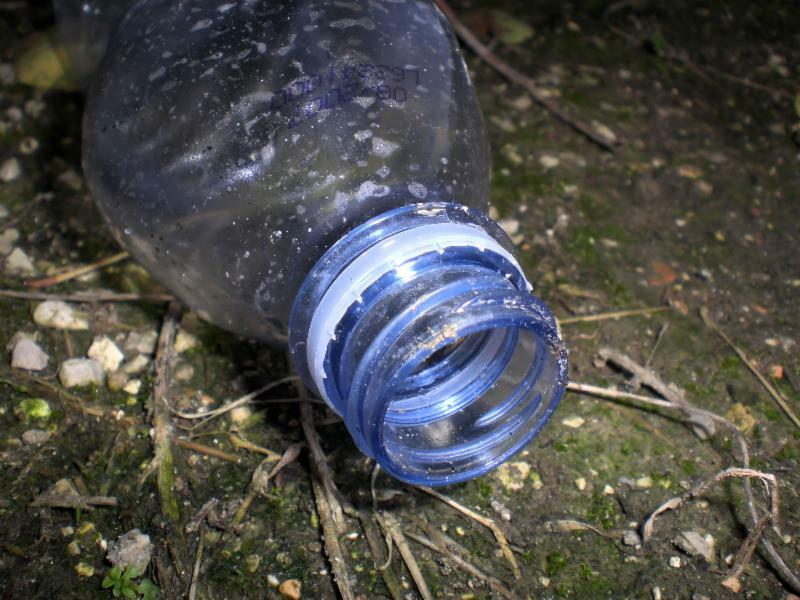 A new bill filed in Massachusetts this month is intended to reduce packaging waste throughout the Commonwealth. The bill, filed by Representative Paul McMurtry, will seek to mitigate packaging waste and the cost of packaging management by requiring producer-funded end-of-life management for packaging material through a Packaging Reduction and Recovery Fee. The program and associated fee, if passed, would be implemented starting January 2017. Call2Recycle, North America's most comprehensive rechargeable battery recycling program, has received the Responsible Recycling Practices Standard (R2) certification. This certification ensures that Call2Recycle's management of the collection and distribution to downstream processors for the recycling of batteries and cell phones meets the highest environmental, health, and social standard for recyclers. 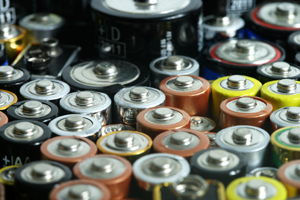 Since 1996, Call2Recycle has diverted more than 85 million pounds (39 million kilograms) of batteries and cell phones from the solid waste stream and established over 34,000 collection sites throughout the U.S. and Canada. Seattle Public Utilities (SPU), a department of the City of Seattle, is looking for a full-time Solid Waste Strategic Advisor to help plan and implement its progressive solid waste program. This includes very aggressive recycling goals and well-developed recycling/composting/and waste prevention programs. Learn more about the job requirements and how to apply by clicking here.